Unlike other capitals on the larger Canary Islands, San Sebastian de La Gomera doesn’t have a busy feel to it. 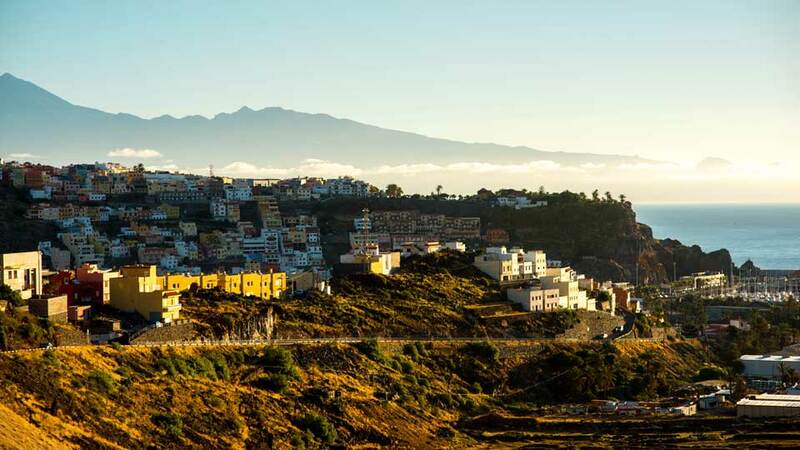 A short ferry ride from Tenerife, this city and municipality feature stunning natural, cultural and historical sights. Like the rest of the island, it has also remained tranquil and unspoiled. Wander the streets that are dotted with traditional buildings and enjoy the views of colorful boats bobbing in the harbor. Furthermore, explore the rest of the city and discover why more and more tourists are attracted to this gem in the Atlantic Ocean. 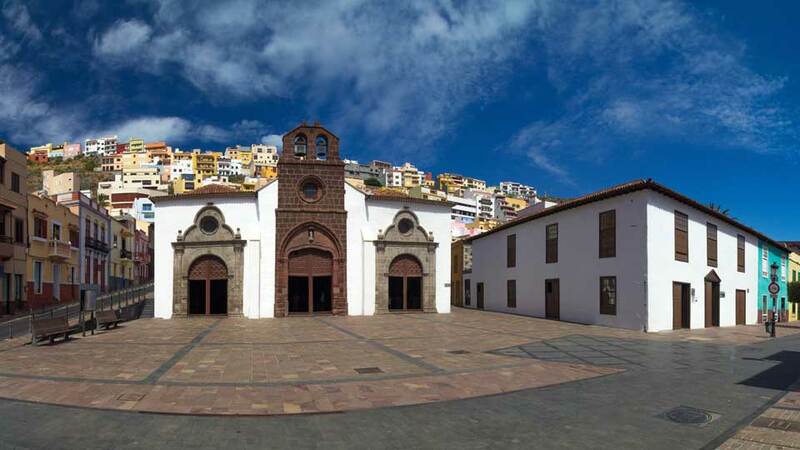 San Sebastian de La Gomera is a peaceful city and municipality steeped in history. During the time of the Guanches, it started as a settlement with a protected bay for sailing ships. By the mid-15th century, the city was officially founded and developed by Hernan Peraza which would become the capital that it is today. San Sebastian became a thriving commercial port and one of its most important visitors was Christopher Columbus. As a matter of fact, the building where the explorer stayed is now a museum. Meanwhile, the house of Peraza, situated in the spot now known as Pozo de la Aguada, is one of the city’s main historic sites. Visitors who have a penchant for historic spots will surely have the time of their lives at San Sebastian. Although it has undergone ongoing growth and changes throughout its history, the city has left behind interesting remnants of its eventful past. As such, these monuments are sure to bring the experiences of a bygone era closer to the hearts of the island visitors. Known as the church where Columbus and his men prayed before setting off to the New World, this church is of religious and historic interest. Fire, unfortunately, destroyed the primitive chapel built in 1450. In the heart of San Sebastian de La Gomera Old Town now stands a rustic 18th-century church that mixes Mudejar, Gothic and baroque styles perfectly. It is also worth a look inside, with its remarkable carved wooden entrance lobby and diverse religious images. History buffs will surely fall in love with Museo Arqueológico de La Gomera. Set in a traditional town house, it features both the island’s Guanche past and its present-day culture. Displays reveal a lot about the Guanches’ daily lives including their social, political and religious structures. The museum adds a piece to the puzzle for those who have explored much of La Gomera’s sights. Radiating typical Canarian flavor, the simple yet elegant architecture of Casa de Colon is a delight to the eyes. This is where Columbus supposedly stayed while on the island. Inside, visitors will find a small museum housing stunning pottery of the Chimú tribes from the 11th to 15th centuries. Without spending a dime on entrance fees, guests can also admire temporary exhibitions, generally of art and photography. 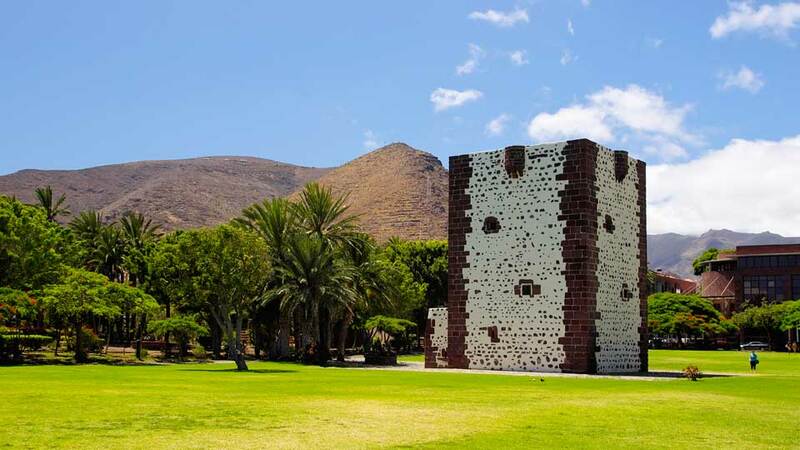 Torre del Conde is one of the Canary Islands’ most important example of military architecture. Its function was mainly a representation of the capital’s majestic power in the 1400s. Set in a lush subtropical park, the white and brown fort contrasts dramatically with the greenery around. The structure encompasses a small museum that has interesting old photos and maps of the city. Within walking distance from the city center is its volcanic sand public beach. Clean and not crowded on most days, it is the perfect place to relax and just take in the surroundings. Unlike most of the beaches in La Gomera, Playa de San Sebastian is family friendly and has calm and soothing waters. After a dip, wander to the bars and restaurants for some delicious refreshments and snacks. Less frequented than the city’s main beach, Playa de la Cueva is a remote paradise past the port. This small and pretty beach offers black sands and pebbles, and gentle Atlantic Ocean waves. It is accessible by a tunnel and features a lovely promenade perfect for a stroll in the sunshine. The backdrop is towering rocky crags which visitors may climb to gain lovely views of the ocean and Tenerife. One simply can’t go to San Sebastian and not experience this vibrant market. A compact place full of gastronomical treasures, this market has some of the best delicacies on the island. Sample some of the finest honey in Spain and take home fresh Gomeran goat’s cheese. There are also the ingredients in making mojo, the famed Canarian spicy sauce based on either chilies and paprika or coriander and garlic. San Sebastian de La Gomera is the main gateway for those traveling by the ocean. It has a commercial port used by passengers and for importation and exportation of goods. The shipping companies Fred Olsen and Naviera Armas depart from Los Cristianos daily. The journey takes approximately 60 minutes. Visitors who are traveling by plane from Tenerife North Airport may reach the island in 30 minutes. The interisland airways Binter Canarias connect La Gomera to the rest of the archipelago, via Tenerife, several times daily. Once in San Sebastian, visitors may hire a car to get around the city and the rest of the island. Alternatively, they may take the convenient and reliable bus service to the main points of the capital. Being the main entry point to the rest of the island, San Sebastian guarantees the best accommodation for each of its visitors. Families, couples, and single travelers are sure to find their home away from home with the city’s long list of holiday rentals. Guests will grow weary of the ocean views at Parador Conde de La Gomera, or not. Perched on a high hill over San Sebastian Harbour, the view of the vast Atlantic Ocean is available at almost every angle. This manor house turned hotel features a traditional Canarian-style architecture. Even better, the cozy rooms are set around inner courtyards dotted with palm trees and beautiful fountains. Overlooking San Sebastian de La Gomera and just a stone’s throw away from the promenade bars and restaurants is Apartamentos Quintero. An adult-friendly complex, the living rooms are large and vibrantly decorated, balconies with amazing ocean views and kitchens are well-equipped. The warm and friendly staff is also noteworthy, ready to give recommendations on where to eat and even the bus schedule. Situated next to the historic Torre del Conde is a simple yet elegant hotel of the same name. Hotel Torre del Conde is only 200 meters from the marina with pretty gardens surrounding it. Also, it offers spacious, bright rooms, a sauna and jacuzzi and a solarium for catching the rays. In addition, it features a restaurant that offers a range of buffet cuisines and a café-bar for drinks and snacks. Characterized by its simplicity, the capital specializes in the famous papas arrugadas (boiled potatoes) and vieja (local fish). In addition, its delicious local delicacies are what set it apart from the rest of the Canary Islands. Meanwhile, palm honey is used as the basic ingredient for a rich variety of desserts. All of these dishes can be accompanied by the heavenly Label Guarantee wines produced in the province. This small and cozy restaurant is situated in the heart of San Sebastian, thus, a favorite among tourists exploring the city. La Forastera offers a reassuringly brief menu of healthy Mediterranean-style tapas and mouth-watering desserts including a gofia mousse topped with local honey. The friendly hosts who speak good English add to the friendly and homey vibe of this top-rated restaurant. Just a few minutes’ walk from La Forestera is La Salamandra, an oasis of delicious food and great staff service. Visitors can’t get enough of their Spanish, contemporary and vegetarian-friendly cuisines. Their selection of ice creams, including coconut and salted caramel, is surely not to be missed. Complete the meal with a selection of great local wines that will be delightfully served by the restaurant’s attentive staff. Lining the promenade of Playa de la Cueva is El Charcon, a perfect spot for a peaceful and tasty lunch. Seafood is the star of the menu here as well as the grilled cheese and goat dishes. The family-run restaurant also offers a wide variety of local wines that complement the meals perfectly. Those who wish to catch the sea breeze while feasting on a meal may enjoy El Charcon’s outdoor seatings. Having the main port of the island, San Sebastian is often just an entry and exit point to the island for some visitors. Little did they know that the city that welcomed them is full of treasures waiting to be explored. Take a pick among the myriad of historic buildings and have a glimpse into the island’s past. Stroll along cobblestone streets and just savor the exquisite brew of history, arts, and surviving traditions. Taste the tempting local cuisines and top them off with wines from volcanic mineral-rich vineyards. Better yet, enjoy a walk on the beach and end the day with a comfortable stay at one of its world-class accommodation. Discover why this piece of paradise hugging the Atlantic Ocean is one of the best capitals in the Canary Islands.